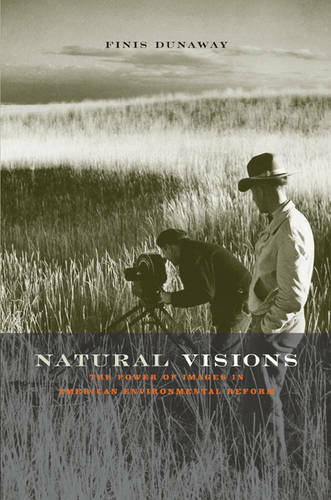 In "Natural Visions", Finis Dunaway shows how visual imagery - such as wilderness photographs, New Deal documentary films, and Sierra Club coffee-table books - shaped modern perceptions of the natural world and led to the development of the contemporary conservation movement. By examining the relationship between the camera and environmental politics, Dunaway captures the emotional and spiritual meaning that became associated with the American landscape. Throughout he reveals how photographers and filmmakers adapted long-standing traditions in American culture - the Puritan jeremiad, the romantic sublime, and the frontier myth - to literally picture nature as a place of grace for the individual and the nation.Beautifully illustrated with photographs by Ansel Adams, Eliot Porter, and a host of other artists, "Natural Visions" will appeal to readers interested in American cultural history, the visual arts, and environmentalism.